A well-planned and exciting event like yours deserves to be announced in style! The black and white Portland Flyer is just right for your upcoming occasion. 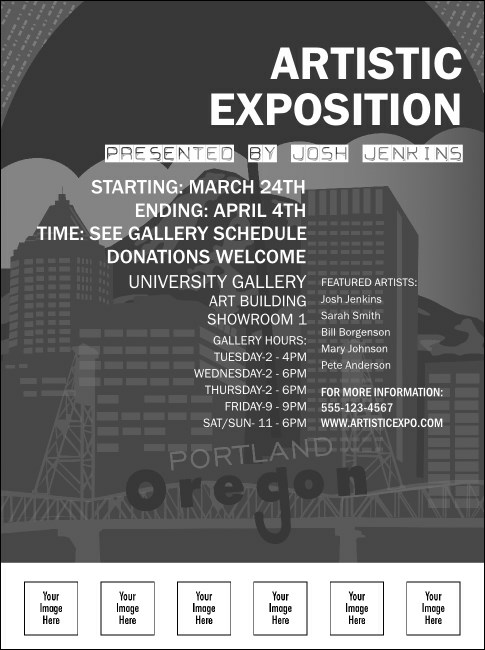 Featuring images of the Hawthorne bridge and downtown as well as five spaces for custom image uploads, the flyer has an elegant and modern feel. Some things just aren’t black and white! You can also find a matching event kit in color at TicketPrinting.com.